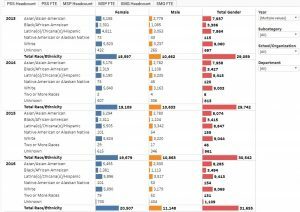 Folks across UCLA are often curious about the various policies and procedures that, for instance, prohibit discrimination or otherwise regulate the conduct of UCLA students, staff, or faculty. 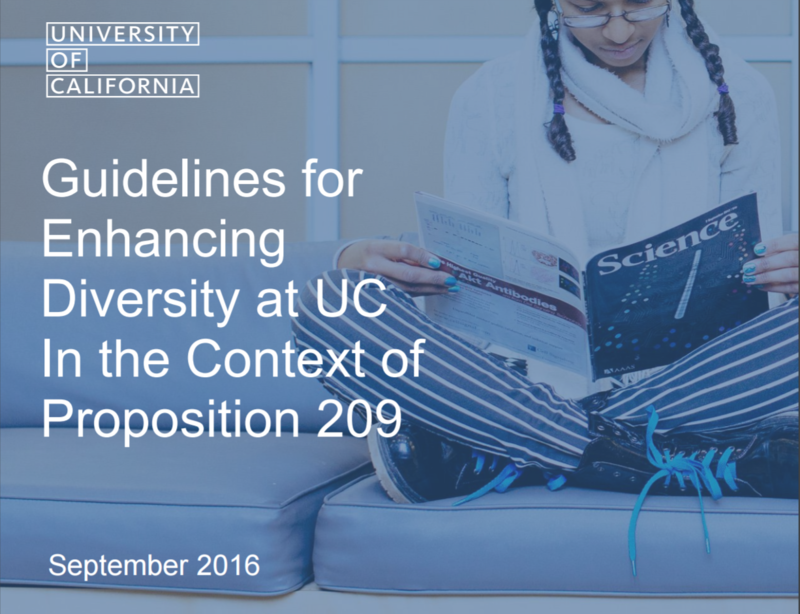 Here are a few UC and UCLA policies relevant to equity, diversity, and inclusion. 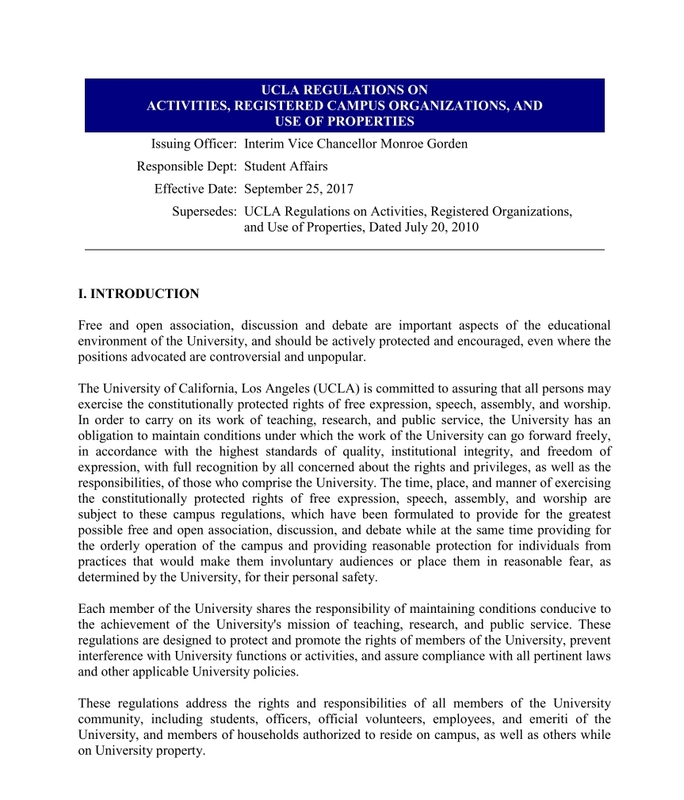 ➡ For more information on UC policies and codes of conduct, as well as state and federal laws related to Title IX, please visit: http://www.sexualviolence.ucla.edu/Policies. 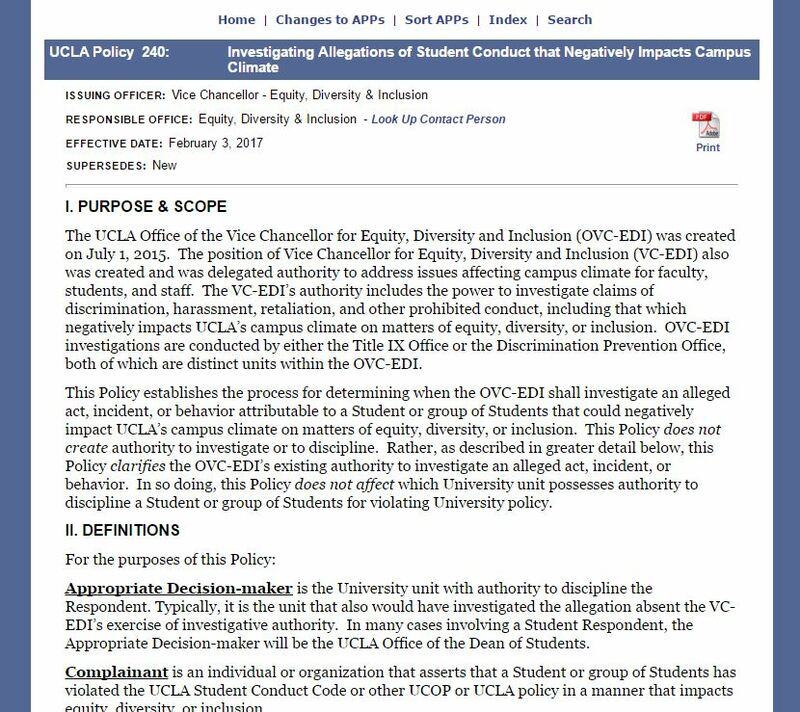 This Policy establishes the process for determining when the OVC-EDI shall investigate an alleged act, incident, or behavior attributable to a Student or group of Students that could negatively impact UCLA’s campus climate on matters of equity, diversity, or inclusion. 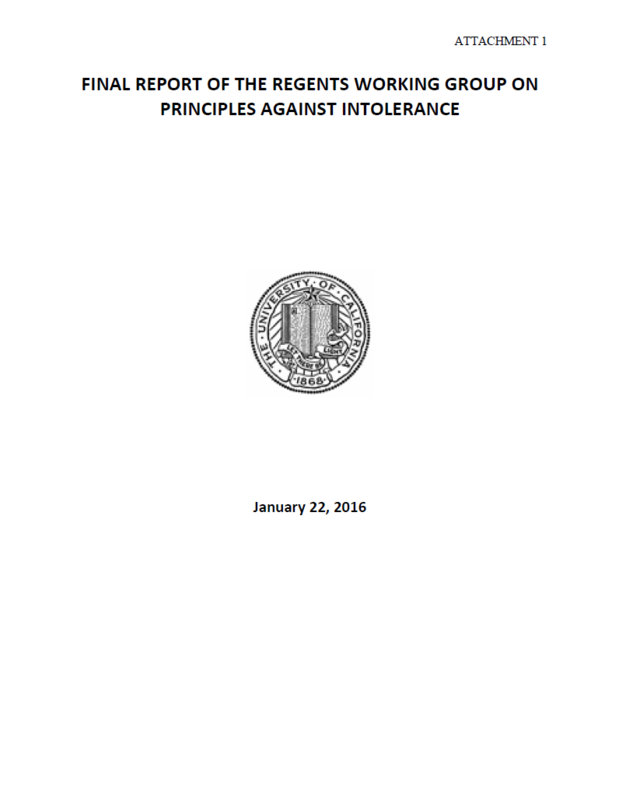 This Policy does not create authority to investigate or to discipline. 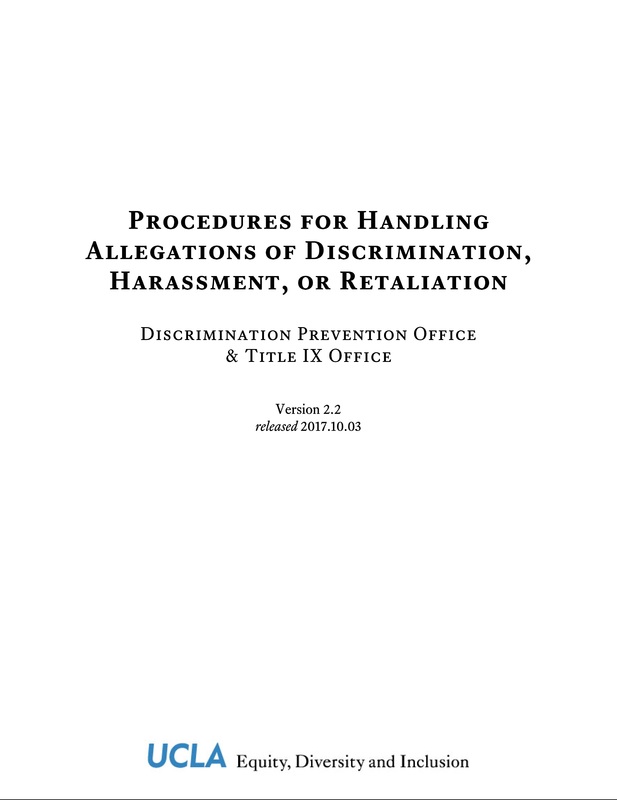 Rather, as described in greater detail below, this Policy clarifies the OVC-EDI’s existing authority to investigate an alleged act, incident, or behavior. 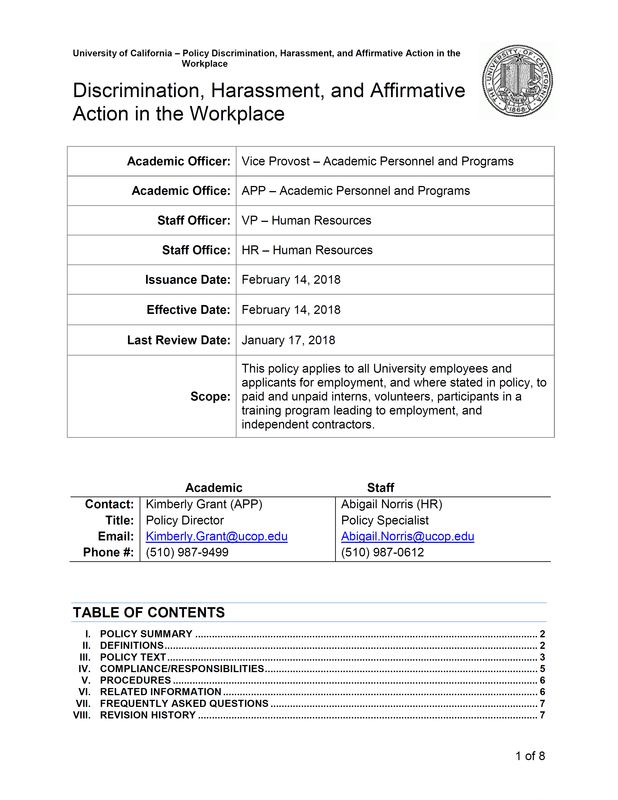 In so doing, this Policy does not affect which University unit possesses authority to discipline a Student or group of Students for violating University policy. 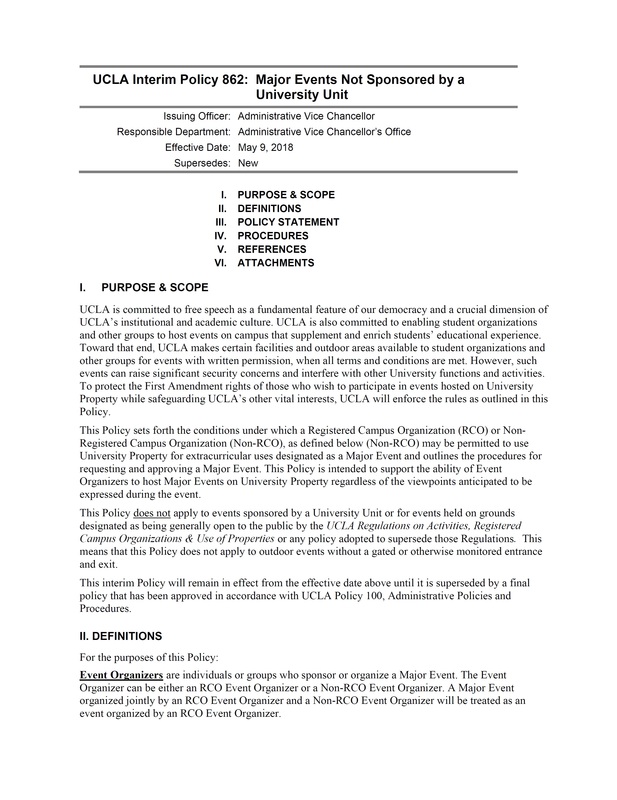 View the Policy on UCLA’s APP website. 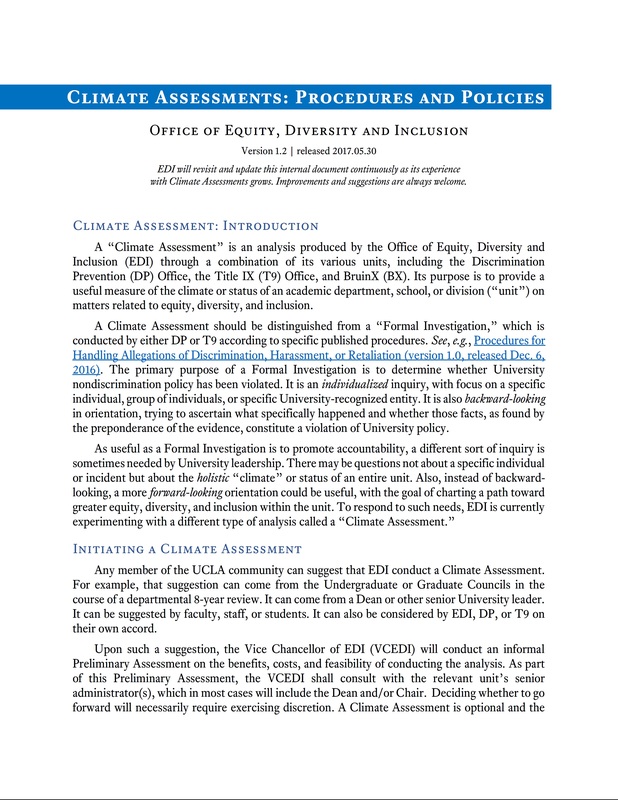 For a review of six key takeaways, please refer to the Office of Equity, Diversity and Inclusion Proposition 209 Primer.